18V-832: Certain 2019 Interstate 19 motorhomes manufactured from May 21, 2018, to November 21, 2018. Incorrect coach battery fuses may have been installed, potentially allowing the battery cables to be overloaded. Recall start: January 2019. Airstream, (877) 596-6505, extensions 7401 or 7411. 18V-820: Certain 2019 MPG and Radiance Ultra Light travel trailers manufactured from September 18 to 28, 2018, and built with Dexter D28H, D35, D40, or D44 trailer axles. The inner hub bearings may not have been greased sufficiently, which can cause the bearings to overheat and fail, affecting vehicle handling. Recall start: January 2019. Cruiser recall number: 99.03.16. Cruiser, (574) 206-7920. 18V-787: Certain 2017-2019 Freightliner Cascadia chassis manufactured from May 17, 2016, to November 5, 2018. The driver’s front air bag may deploy unexpectedly. Recall start: January 2019. Daimler Trucks recall number: FL800. Daimler Trucks: (800) 547-0712. 18V-823: Certain 2019 Imagine travel trailers manufactured from September 12 to 26, 2018, and built with Dexter D28H, D35, D40, or D44 trailer axles. The inner hub bearings may not have been greased sufficiently, which can cause the bearings to overheat and fail, affecting vehicle handling. Recall start: December 2018. Grand Design recall number: 910018. Grand Design, (574) 825-9679. Recall 18V-857: Certain 2019 Vintage Cruiser travel trailers manufactured from October 5 to 22, 2018. The inner hub bearings of the axles may not have been sufficiently greased, which can cause the bearings to overheat and fail. Recall start: December 2018. Gulf Stream recall number: GS03122018. Gulf Stream, (800) 289-8787. 18V-819: Certain 2019 Pioneer and Prowler travel trailers manufactured from September 20 to 27, 2018, and built with Dexter D28H, D35, D40, or D44 trailer axles. The inner hub bearings may not have been greased sufficiently, which can cause the bearings to overheat and fail, affecting vehicle handling. Recall start: January 2019. Heartland recall number: 99.01.42. Heartland, (877) 262-8032. 18V-852: Certain 2019 Elk Ridge, Elk Ridge Express, Milestone, Pioneer, Sundance, and Sundance XLT fifth-wheels manufactured from April 2, 2018, to November 14, 2018. The forward reflectors on one or both sides may not have been installed, reducing the RV’s visibility. Recall start: January 2019. Heartland recall number: 99.01.43. Heartland, (877) 262-8032. 18V-851: Certain 2019 White Hawk, Jay Flight SLX, and Jay Feather travel trailers manufactured from September 12, 2018, to October 2, 2018. The inner wheel hub bearings may not have been sufficiently greased, which can cause the bearings to overheat and fail. Recall start: December 2018. Jayco’s recall number: 9901422. Jayco, (800) 517-9137. 18V-785: Certain 2019 Montana fifth-wheels equipped with the Legacy package and manufactured from August 14, 2018, to October 24, 2018. The fasteners that secure the disc brake assembly may fail, which would result in loss of braking ability. Recall start: November 2018. Keystone recall number: 18-336. Keystone, (866) 425-4369. 18V-790: Certain 2018-2019 Raptor toy haulers, model 353TS, manufactured from June 14, 2017, to July 30, 2018. The tires may rub against the frame outrigger while the trailer is being towed. Recall start: November 2018. Keystone recall number: 18-339. Keystone, (866) 425-4369. 18V-843: Certain 2019 Keystone Cougar, Outback, Passport, Springdale, Bullet, and Hideout travel trailers and 2019 Dutchmen Aerolite and Atlas travel trailers. The inner hub bearings of the axles may not have been sufficiently greased, which can cause the bearings to overheat and fail. Recall start: January 2019. Keystone recall number: 19-340. Keystone, (866) 425-4369. 18V-853: Certain 2019 Montana fifth-wheels manufactured from October 10, 2018, to November 9, 2018. The axles may have defective welds on the spindles, potentially resulting in a spindle and wheel assembly detaching from the axle, affecting vehicle handling. Recall start: January 2019. Keystone recall number: 19-342. Keystone, (866) 425-4369. 18V-812: Certain 2017-2019 Challenger, Miramar, and Outlaw motorhomes manufactured from September 20, 2016, to August 17, 2018. The Irvine Shade motorized windshield roller shade may unroll without warning while the motorhome is being driven, which can block the driver’s vision. Recall start: January 2019. Thor recall number: RC000165. Thor, (877) 855-2867. 18V-855: Certain 2018-2019 Forza motorhomes manufactured from July 5, 2017, to August 2, 2018. The propane lines may have been installed without edge protection where the lines pass through the closeout panel, possibly resulting in the lines being damaged and leaking fuel. 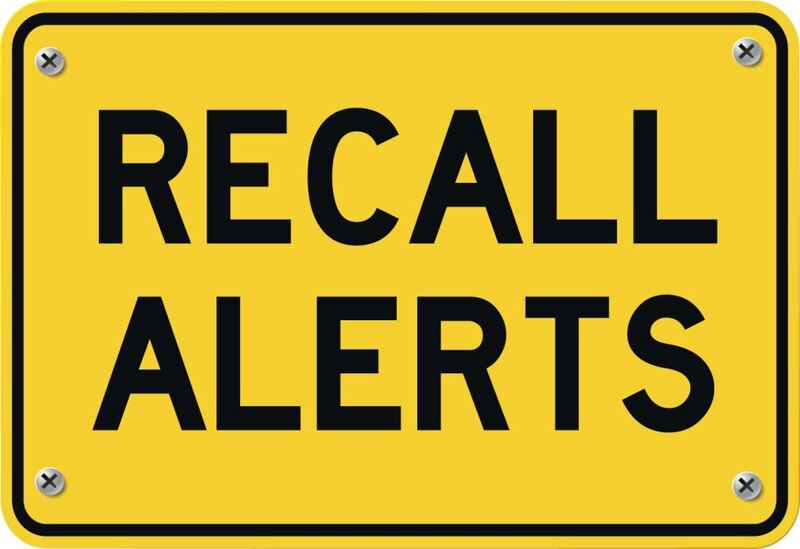 Recall start: January 19, 2019. Winnebago, (800) 537-1885. 18T-016: Certain Yokohama RY023 tires, size 295/75R22.5 (14G) with DOT date code 2318. The rubber compound may be incorrect, possibly resulting in tread separating from the casing. Recall start: November 2018. Yokohama, (800) 722-9888.